Former Nairobi Diaries actress Maya is currently fighting hard to clear her image following a scene in the reality show that had her chewing Miraa. According to the actress, who is now a business woman, she has only used the drug several times, unlike how the show portrayed she was an addict. “I have used miraa four times only, but I was never an addict,” Maya said in an interview “I am a businesswoman now and I have people who want to partner and expand my business with me, but because of the history and the picture that was painted about me, some fear.” Peer pressure The actress confessed that she ended up using the drug after pear pressure from friends during a night out. “Out of curiosity, I asked them why they were using it. They said it helped them feel better after drinking alcohol. That is when I took miraa for the first time,” she said. Adding: “I have used it like four times and the last time I took it was when I had a shoot at night. I called a friend who brought it to me,” she said, adding that she has friends who are in the corporate world but still use miraa. 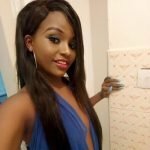 The post Former Nairobi Diaries actress denies she’s a miraa addict: I have used it like four times only appeared first on Ghafla! Kenya.